Majestic Mount Whitney, located in California’s southern Sierra Mountains, is the highest point in the continental United States. Soaring 14,505 feet above sea level, it is a two-day marathon for most hikers. 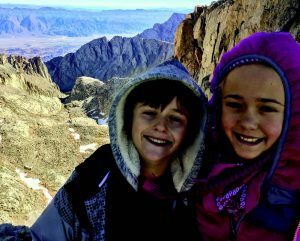 While very few attempt the hike in just one day, on October 10 of this year, Calabasas resident Tiffany Sax, 11, and her brother Brayton, 9, reached the Mt. Whitney summit and made it back down in a stunning 14 hours. 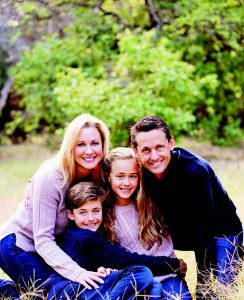 One day in early 2017, 9-year-old Brayton voiced an idea he had for his family to hike from their house in Calabasas to the Santa Monica Pier. Fast-forward to July, just six months after this determined young boy’s ambitious idea. 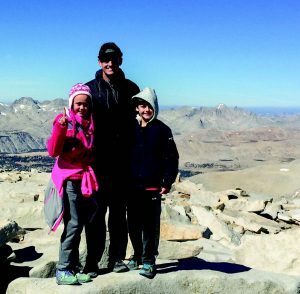 Brayton, Tiffany, and Brian left their home in The Oaks of Calabasas before sunrise, negotiated the rugged Santa Monica Mountains with ease, and reached the famous Santa Monica Pier at 3:51 p.m., finishing the 22-mile hike in just over 10 hours. The following month, in August of 2017, Brian, Andrea, Tiffany, and Brayton traveled to the beautiful state of Wyoming to get a better look at the once-in-a-lifetime Great American Eclipse. A couple days after viewing this breathtaking moment, they shifted their sights to the 14,000+-foot mountain called Longs Peak in Colorado. They hit the trail that morningand reached the popular milestone Keyhole in less than four hours, where the moderate hike turns into a treacherous climb. Brian, Tiffany, and Brayton negotiated dozens of dangerous paths, some with sheer drops of over 1,000 feet. The brave trio kept their cool and reached the summit of Longs Peak in six hours and 30 minutes. With these memorable hikes under their belts, Tiffany and Brayton were well prepared for their conquest on the brutal Mt. Whitney. In the earlyhours of October 10, after only two hours of sleep, the dynamic duo and their father started the climb at 2:15 a.m. They reached the summit in just under nine hours. 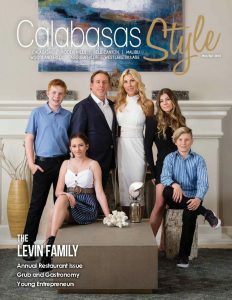 After spending a short hour soaking up the view and basking in the glow of their success, Tiffany, Brayton, and Brian descended the mountain in five hours, hopped in their waiting car, and arrived back in Calabasas by bedtime. Ten hours later, Tiffany and Brayton were in their Viewpoint classrooms, excitedly describing their adventures to their classmates.